Bartending School is a practical, affordable and fast-track method of landing a high-paying job as a Bartender. Bartending is a high paying, flexible, and most of all FUN job - if you can even call it a job! Obtaining proper training is absolutely necessary if you want to to successfully break into this lucrative industry without having to work your way up from the bottom (can you say bussing tables...). At the Bartending College Bartending Schools we have the experience, pro instructors and industry connections to get you into the bartending job you've been looking for. The Bar & Restaurant industry is one of the few job markets that's seeing growth these days. In fact it made the US News list of the "20 Industries Where Jobs Are Coming Back", adding nearly 150,000 new jobs in 2010 alone. Isn't it time to give Bartending School a serious look? The Bartending College is quite simply the BEST Bartending School in the country. 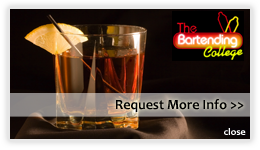 Our Bartending Course is the most complete & affordable bartender training program available. We have Schools nationwide, including campuses in Sacramento, San Francisco Bay Area, San Leandro (Oakland - East Bay) California & Detroit Michigan as well as our Affiliate Bartending School campus in Denver and other states that allow us to provide TRUE Job Placement Assistance Nationwide. One or two week Bartending Training Course with day, night and weekend options - you can even mix and match class times to fit your busy schedule. We will work around your schedule, not vice versa! 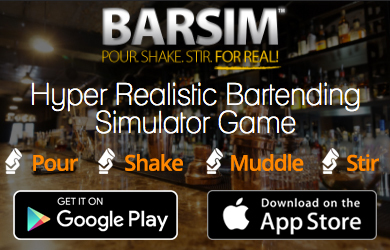 Hands on Bartender Course in a fun, nightclub atmosphere. Approved to operate by the California, Illinois, Ohio & Michigan Boards of Higher Education. Credit cards accepted and convenient payment plans available.